Reasons for an ear massage vary. In Eastern medicine, the outer portion of the ear is viewed as a microsystem representing the entire body. 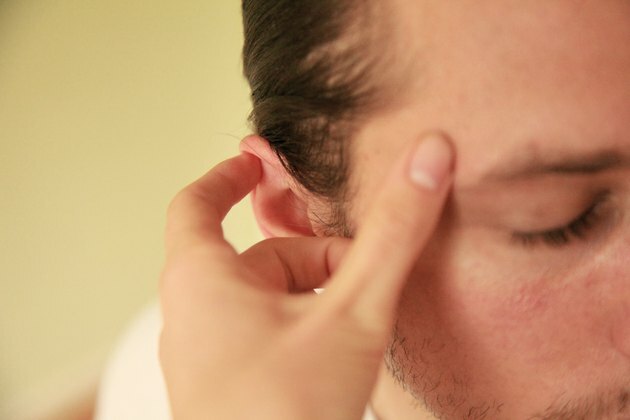 As with other forms of reflexology, points on the ear correspond with specific areas of the body. Consequently, massage of these points can produce therapeutic benefits in their corresponding areas, according to the Institute for Integrative Healthcare Studies. Western medicine tends to see massage more as a way to increase relaxation, decrease tension and promote overall well being. Either way, the ear is full of nerve endings that make massage to ear pressure points an enjoyable and stimulating experience. 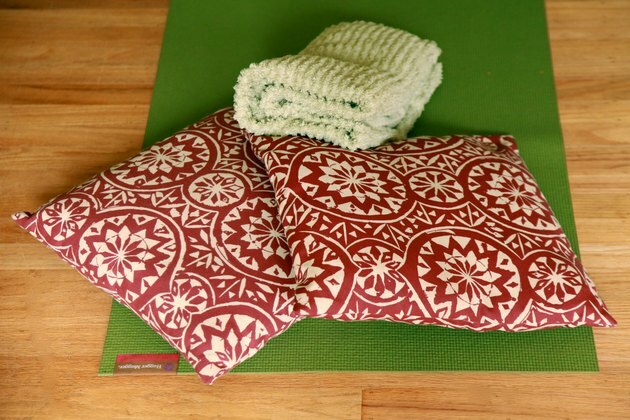 Find a private and quiet setting. Dim any bright lights, turn off cell phones and minimize distractions. The person receiving the massage should be lying down with hair brushed away from the ears and a pillow supporting the neck. The person giving the massage should be positioned just above the crown of the head, looking down into the face of the recipient. Fan your fingers out into the hair beneath the ears, with the thumbs resting on the outer ear. Begin lightly stroking both ears simultaneously with the thumbs. Work from the lobe of each ear upward to the tip. The pads of the fingers may gently massage the scalp at the same time. Continue this until you have covered the ear from lobe to tip three times. Move to the bottom of the ears. Gently press the earlobes between the pads of the thumbs and the first two fingers. Alternately press and roll the earlobes for several seconds. The pressure points in the earlobes correspond with the head and neck regions. Next, move up along the edges of the ears, pausing to repeat this pressing and rolling action and covering the entire edge. Pressure points along the edges of the ears coincide with the shoulders, elbows, wrists, feet and ankles. Repeat this process three times. 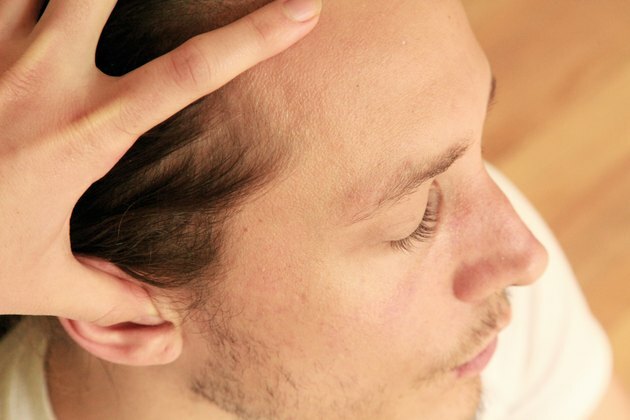 Position your thumbs on the forehead, and fan your fingers into the hair line to stabilize the hands. Press your forefingers into the folds of the outer ear. Move the forefingers in short, circular massaging strokes as you work through all the folds. Cover this area three times. Pressure points in these areas address the neck, hips, knees, lower back and part of the pelvic region. 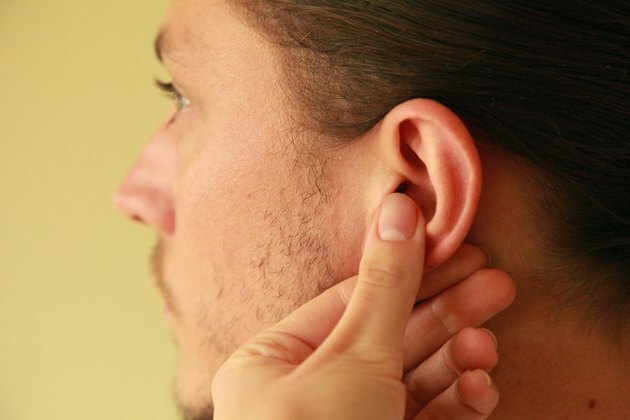 Move the tips of your forefingers into the center of the ear but not into the ear canals. Press down gently with your fingertips, and then release. Repeat this three times, and then move to a new area within the ear center. Once this area has been covered, repeat these movements along the front portion of the ear where it meets the jawline. Pressure points here coincide with specific internal organs and hunger control. Hook your thumbs into the centers of the ears, gently pull the ears upward toward the crown of the head and move the ears in a circular motion three times. Cover the ears with your open hands, and fan your fingers into hair. Move your hands in circles, gently massaging the scalp and ear body. Finish by instructing the recipient in some deep breathing and providing a glass of water. Ear massage can be a wonderful stand-alone massage, or it can be used as an addition to a facial, head or whole body massage. These massage techniques can be performed on someone else or as a self-massage. A small amount of mild lotion or oil may be used on the hands of the person giving the massage if neither person has a history of allergy or skin irritation from these products. Drink water after the massage to flush out any toxins that were released, according to the Medline tutorial "X-Plain Massage Therapy." Massage therapy should not be used in place of medical therapy. People with medical conditions and women who are pregnant should consult their health care provider before using massage therapy. Do not massage open, inflamed or injured areas. Remove all earrings prior to ear massage.